What is the Difference Between Divorce, Separation, and Legal Separation? Marriages come to an end for a lot of different reasons, and these ends are not always dramatic and television-worthy. Sometimes a relationship comes to a natural end, with both parties ready to move on though there was a time they thought that would be impossible. Others end as underlying problems are revealed, you grow apart, you start finding each other annoying, or an old hurt you thought you could get past just never heals. No two marriages that end will end in exactly the same way and each separating couple goes through the process differently. When a couple says they are "separated", they mean that they no longer live together but haven't actually gotten a complete divorce. However, even if religious or financial reasons make a complete divorce impossible, a legal separation can still allow you to separate assets and even manage child custody arrangements within the bounds of a still valid marriage. Casual separation is when you live separately, but are still married in all legal and practical ways. Many marriages include periods of casual separation, whether or not these periods end in divorce. Sometimes it is for logistical reasons like one partner starting a job in a new city while the other stays behind to move the household. Sometimes a couple simply prefers to spend some time apart every now and again, and often casual separation is used to help mend hurt feelings after problems have arisen in the relationship. That said, almost all divorces start with casual separation in one way or another. When two people no longer want to be married to one another, it's only natural to start separating your lives. One person may get their own apartment or start staying with a relative during a rocky period and then the couple accepts that they are happier apart. Other times, separation can happen in the same home or even without thought as two people simply grow apart and stop spending time together. It's also completely normal to use casual separation as a hopeful option, a way to give each other space and sort out your feelings in hopes that you can come back together after a time apart. Marriages often heal if a couple can separate and then make amends after a trial period of what it's like to be apart. If you miss each other, if you find yourself forgiving or being willing to compromise, casual separation can be the first step to either a mended relationship or a more peaceful divorce. And, of course, casual separation can be a logistical decision based on your finances and circumstances. If it's important that you seem to still be together or need time to separate your assets, there is often no harm in leaving things alone as you live separate but legally married lives. legal separation is the ideal alternative for a couple that does not want to publicly or permanently divorce, but needs to separate their legal and financial lives. Married couples are seen as one person in many legal situations and this can cause complications for people who no longer live together and are not divorcing for whatever reason. Legal separation is not nearly so well known but is very common among higher-income couples for whom a divorce would significantly impact their careers or public image. Couples who obtain a llegal separation, can maintain separate financial lives, with no further accumulation of marital assets or debts. A legal separation is a divorce in every way but the finality. Specifically, you file with the court (with or without the assistance of an attorney) a “Petition” for legal separation that is identical to the Petition for Divorce. Assets and finances are separated and common divorce issues like child support and possibly spousal support are part of the process. However, unlike a divorce (which would require remarriage to resume the spousal relationship), you can reverse a legal separation and recombine your households into a shared marriage lifestyleby asking the court to vacate the Legal Separation. Many people choose legal separation when reasons of religion or financial security make divorce impossible. One spouse may rely on the other for vital insurance coverage, the marriage might be required to retain access to a trust, or any number of unique personal reasons. Legal separations are effective because they can either be reversed or serve as preliminary setup for a divorce that may happen years in the future. In some cases, it may simply be practical for a few years if a couple is required to live separately and needs to separate their affairs during that time. Finally, there is traditional divorce. This is the most final way to end a marriage and once a divorce is filed, there is no taking it back. Divorce officially and fully ends a marriage such that all legal and moral bonds are broken. 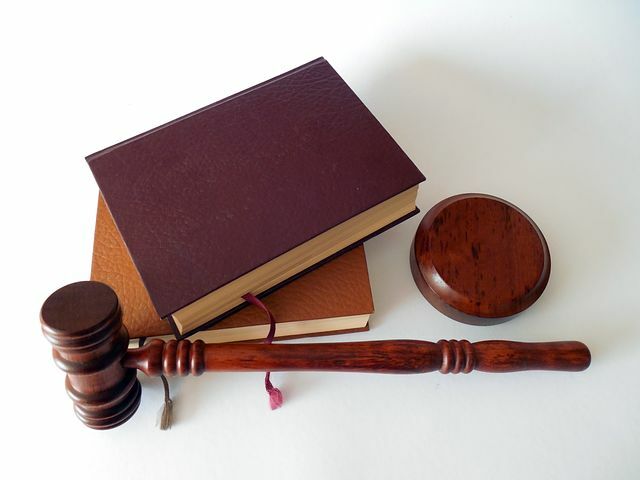 During the divorce process, your finances, household, and child custody will all be legally and permanently separated. This will take time and effort, and the decisions made in court will be final unless further legal action is taken. The divorce also clearly declares to the world that each person is no longer romantically involved with the other and is free for future honest romantic engagements. If you are truly done with your marriage and have no reasons to hold on with separation, then an amicable divorce is the best way to sever ties and allow each other to move on. If your marriage is coming to an end, you don't have just two options, to get divorced or stay together. Casual separation can allow you to separate temporarily without shaking your lives up too much while legal separation can separate lives without fully ending the marriage. And, of course, when you are ready to let go or move on, a divorce will almost always be your best option. Knowing the correct route for you and your ex can be tough, especially when there are hurt feelings involved. contact Split Simple today, and allow our Chicago divorce mediators help you navigate the path through, whether you are seeking divorce or need a legal separation for personal or financial reasons.